One Direction is arguably the biggest band in the world at the moment. Their catchy hooks, crazy vocal runs and dedication to their fans all contribute to this. Somehow, they manage to turn a stadium into a small, intimate space where every fan feels that they are the one the boys are speaking to. The opener, Icona Pop, stepped on stage at 7pm and played through their original work as well as several covers. The crowd especially liked their newest single "Emergency". The group had a very high level of energy and did a good job of entertaining the crowd as Soilder Field filled up. They closed their set around 7:45 with their massive hit "I Love It". One Direction began their set an hour after Icona Pop stepped off stage. The crowd made good use of the time, starting "the wave" around the entire stadium and singing along with the pre-show videos that were played during the break. The One Direction boys began with a bang. Literally. As the boys walked out on stage, fireworks shot off from the stadium as they began their rock-heavy track "Clouds". It was immediately clear who would be the most interactive of the four members. Harry Styles ran back and forth on the stage, engaging the whole crowd. The band next performed "Steal My Girl", the first single from their most recent album, "Four". Each member of the band had a 2-4 minute talking period every couple songs in which they engaged with the crowd. Each time one of the boys spoke, the crowd erupted. Styles was up first. Harry Styles is, by most accounts, the most popular member of the group. He is the one most girls go crazy over. He is the one who hits the long, high runs (after Zayn's departure). With every phrase the crowd cheered. 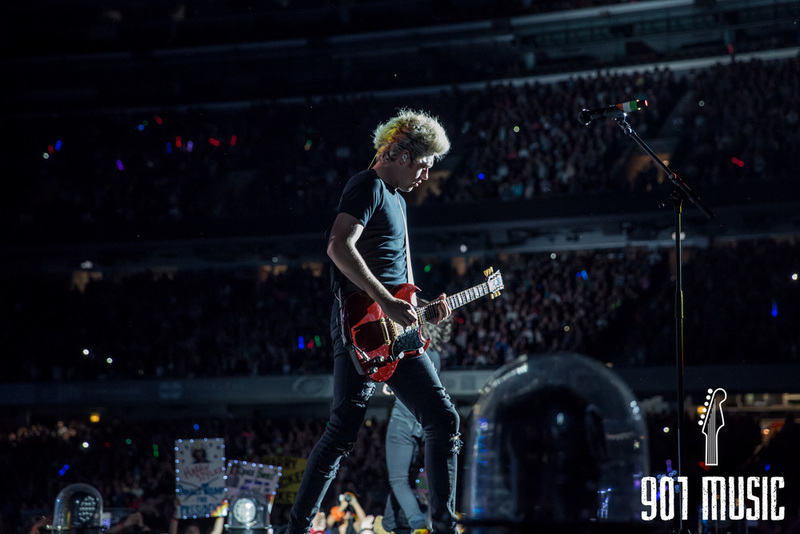 Niall Horan played guitar for a majority of the show. He played both acoustic and electric and showed off his diversity as the band went from high-energy tracks to acoustic ballads. Louis Tomlinson was a key player on the verses. He played a low-key part in the show, but was vital to the band's ability to effortlessly move through their soulful tracks. Liam Payne was the "fun" member of One Direction Saturday night. Towards the end of the show he took props fans had brought to the show, put them on and wore them during the band's final song, "Best Song Ever". One Direction performed all their hits, going way back to their first album. The show was a success and it was a blast to see the biggest band in the world create an intimate place inside a stadium full of people. Everyone inside Solider Field came from a different place, different backgrounds, different families, but there was a bind across the stadium throughout the show. That bind, that ability to create that intimate space; is something only the best of the best can do. One Direction did it with ease.